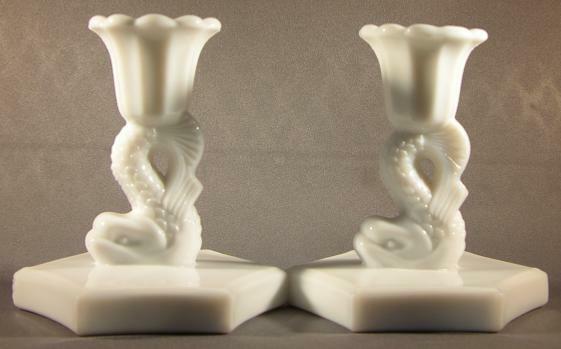 Dolphin Candle Holders – Westmoreland Glass – Circa late 1920s. Milk Glass. Measures 4” high x 3-3/4” diameter of hexagon-shaped base. Weighs 1 lb. the pair. High quality milk glass became a specialty of Westmoreland after 1920.